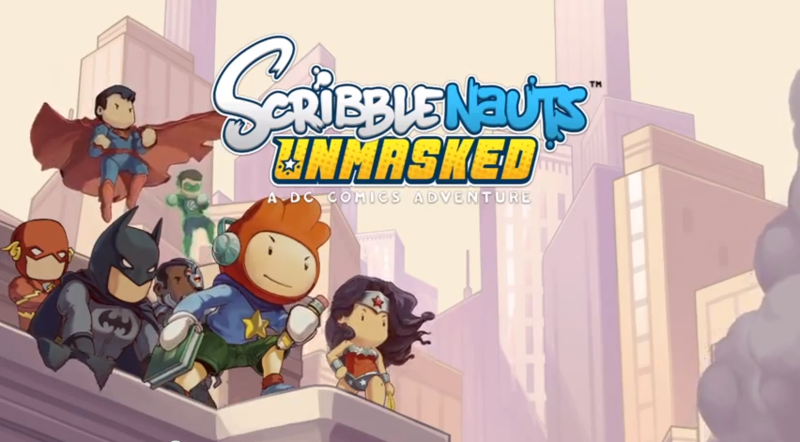 Scribblenauts Unmasked, the next entry in the Scribblenauts series of open-ended adventure puzzle games, will be set in the DC Universe, Warner Bros. Interactive and developer 5th Cell announced today. Scheduled to release this fall on Wii U, 3DS, and PC, the upcoming game will star series protagonist Maxwell (now sporting a dapper black mask) alongside DC superheroes like Superman, Batman and the Green Lantern. A trailer reveals that it will be set in DC Universe locations spanning multiple superheroes’ worlds. The DC-themed Scribblenauts title appeared in rumors in April, but this is the first official confirmation of its existence. Screenshots for Scribblenauts Unmasked show off other DC characters as well, including Batman villains like Bane, Killer Croc, Harley Quinn, Two-Face, The Riddler, The Joker, and The Penguin. Batman himself, Robin, and Wonder Woman are also present, as well as more obscure DC characters like Kyle Rayner, Professor Zoom, and Black Flash. The game’s announce trailer shows additional characters like The Flash and Lex Luthor. It shows players customizing Superman villain Doomsday to look more like a hero himself, and typing “Batman” to reveal a menu filled with multiple variations of the classic hero. Reports from Joystiq, Penny Arcade, Kotaku, and others suggest that 5th Cell has more than 2,000 DC characters summonable in the game. The Scribblenauts series is well known for allowing players to summon thousands of items simply by typing their names. Although past iterations have included some licensed characters (like Mario and other Nintendo favorites in the Wii U version of Scribblenauts Unlimited), Scribblenauts Unmasked will be the first to focus so heavily on a particular brand.